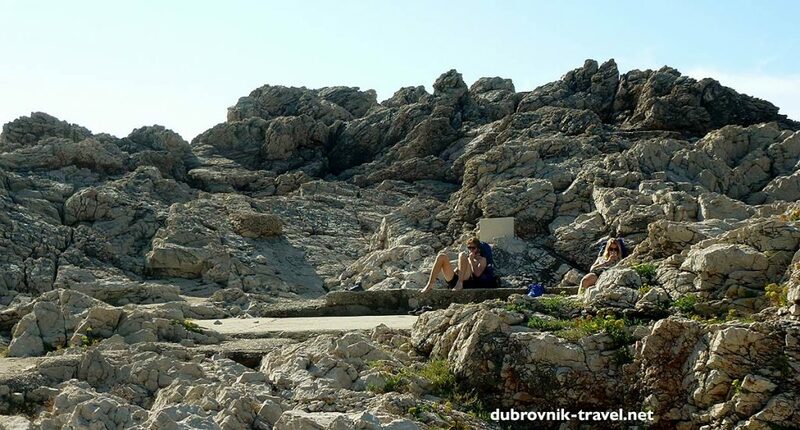 Danče (pronounced: dan-che) is one of the oldest beaches in Dubrovnik and is very popular with locals. 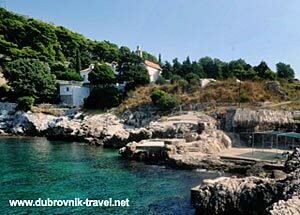 It is located in Danče bay, about 5 minutes west of the Old Town. The beaches have several large rocks and jetties for sunbathing as well as a few ladders for climbing in and out of the sea. Jumping into the sea is safe here as the water is deep enough. Facing south, the beach is sunny from midday until the sunset while earlier in the morning parts of it are shaded by Eastern slopes of Gradac Park. 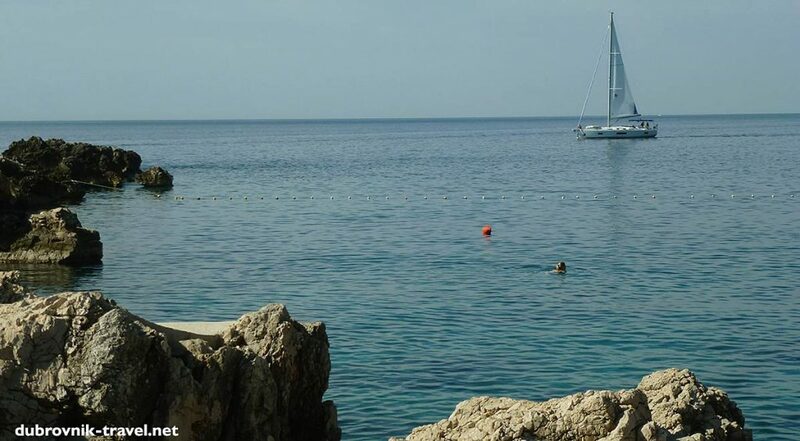 Due to its unprotected location, facing the open seas, the water temperature here is a bit lower than on other, protected beaches around Dubrovnik. However, the water is cleaner and much more transparent with amazing colours. The beach facilities include a few freshwater showers and a small local cafe-bar serving basic refreshments and snacks. This place is ideal to stop over if you are walking towards the Old Town for a sightseeing during the hot days in summer. Just stop here for a swim and continue to the town. The best part of the day to enjoy this spot is an early morning when the beach is completely deserted. Afternoons are much busier! 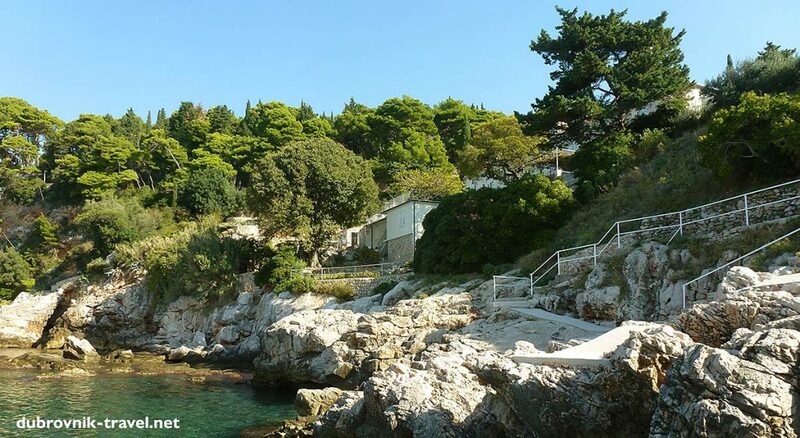 To access the beach, walk to Gradac Park and follow the narrow path going downhill to the seashore. On the left side along the way, you will see the Franciscan convent and church Sv. Marija that overlooks the beach. My beach tip: during the windy days I would not recommend Danče to children or people who are not confident swimmers. As the bay is not naturally protected from the open seas, during Maestral (west wind) as well as Šiloko (southern wind) the waters here can be pretty rough. 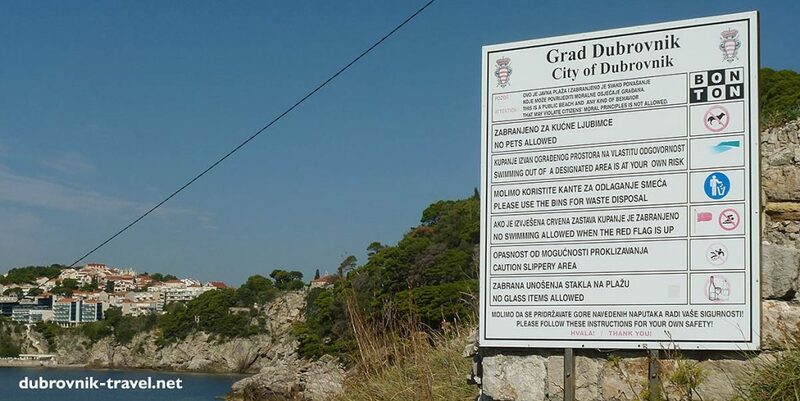 Interesting fact about this beach is that Danče was where the Dubrovnik water polo club “Jug“ was established in 1923. 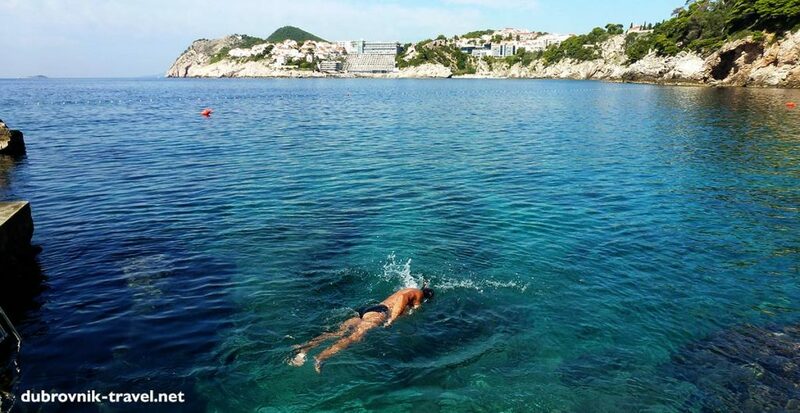 Nowadays, water polo is still played here during the summer in the open waters in a pitch with goals permanently set up (Danče water polo association page: dance.hr). From the Old Town – walk out from the walled town through Pile Gate and continue walking towards the West for another 10 minutes where on your left side you will notice the sign for Ulica Don Frana Bulica. Follow this street for a few minutes and you will see small stairs leading down to the beach. From Stradun it takes about 15 minutes to walk to reach Danče. From Boninovo / Lapad / Babin Kuk – take bus no 4 or 6 to Pile, walk back as in the above description. From Gruž – take bus no 1 to Pile and walk from there to the beach (as above).